Selected Villas for rent near Lamai Veggie (Koh Samui) - Contact us now! 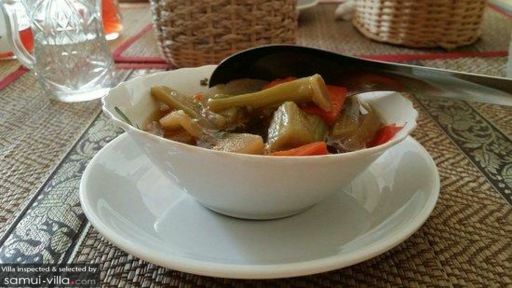 Boasting a small and cosy setting, Lamai Veggie offers diners with a selection of vegan meals. The meals, painstakingly prepared by the warm and affable owner, reminds one of hearty, home-cooked fare. A selection of wholesome home-made teas and juices are also available for diners to quench their thirst.